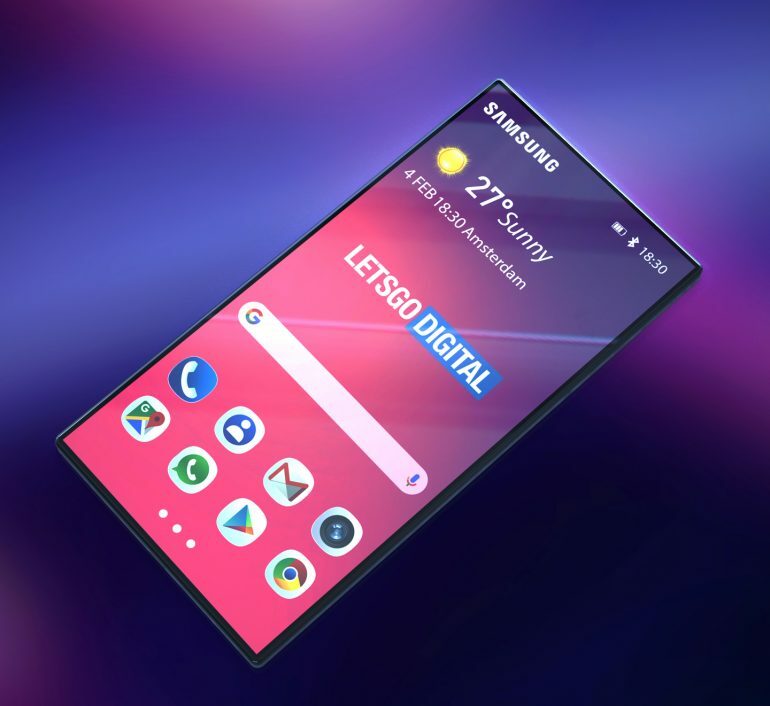 New Galaxy S10 lineup will be introduced towards the end of this month, and next to it the company will probably announce their new foldable phone, the Galaxy F.
Last week on Samsung's YouTube channel in Vietnam there was a short video where it was showcased what the upcoming Samsung's smartphone will look like, and not only the phone but other devices as well. 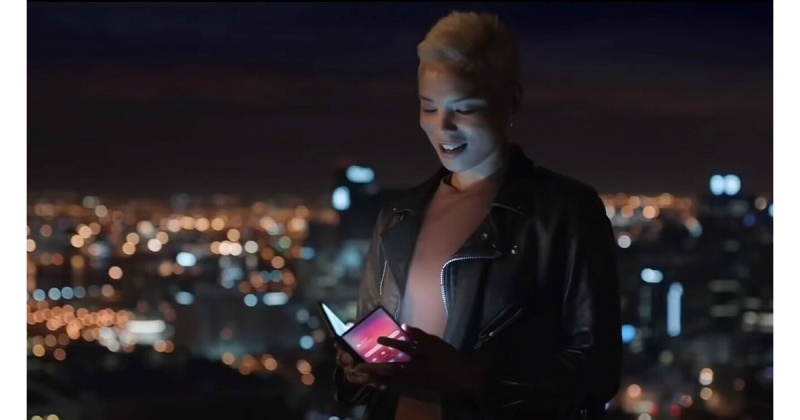 In the video the Samsung showed their new foldable phone. Based on a very careful analysis of the phone, LetsGoDigital's 3D experts have made a 3D render of the Samsung's foldable phone. What we have noticed watchig this video is the thickness of this phone. Samsung Galaxy F look surprisingly thin! The company did talk about the display being thinner than ever before thanks to the polarizer, which is the thickest part, being 45% thinner. 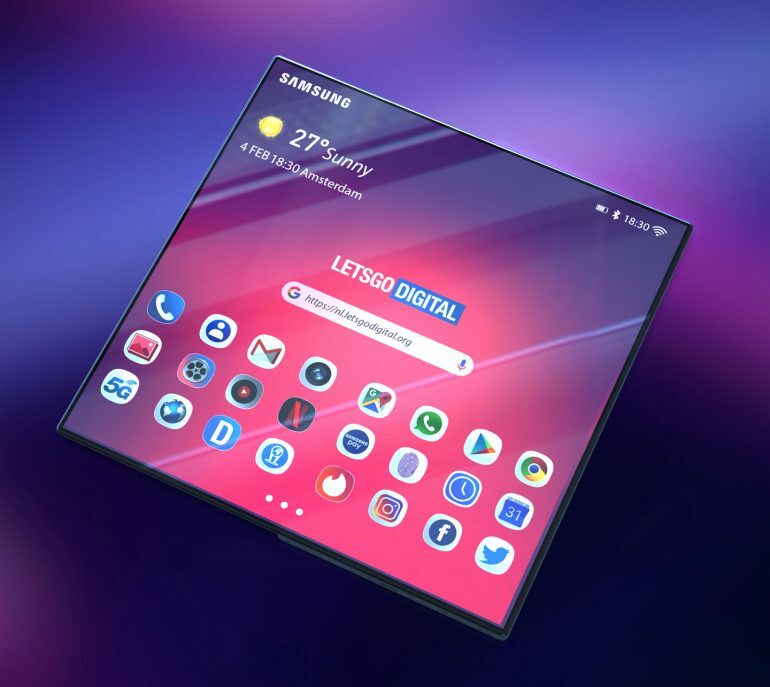 The device showcased at the programmers' conference had substantially thicker bezels, whilte the phone in Samsung's video has an almost all-screen design, more in accordance to today's phones. When it comes to specs, the Galaxy F will have much larger viewing area compared to already existing smartphones, it because of that it will need a bigger battery. There was some talk about two separate batteries in the Galaxy F, which will together have the capacity of 6000 mAh. Othen than the battery, the foldable phone will be equipped with a triple camera setup as well as a single camera unit. Memory-wise the phone is expected to come with 8GB of RAM and 128GB of internal storage, but there will also be a 512GB internal storage version. The main thing is a 4.6" 1960 x 840 pixel resolution display which, when unfolded, reaches 7.3" and the resolution of 2152 x 1536 pixels. 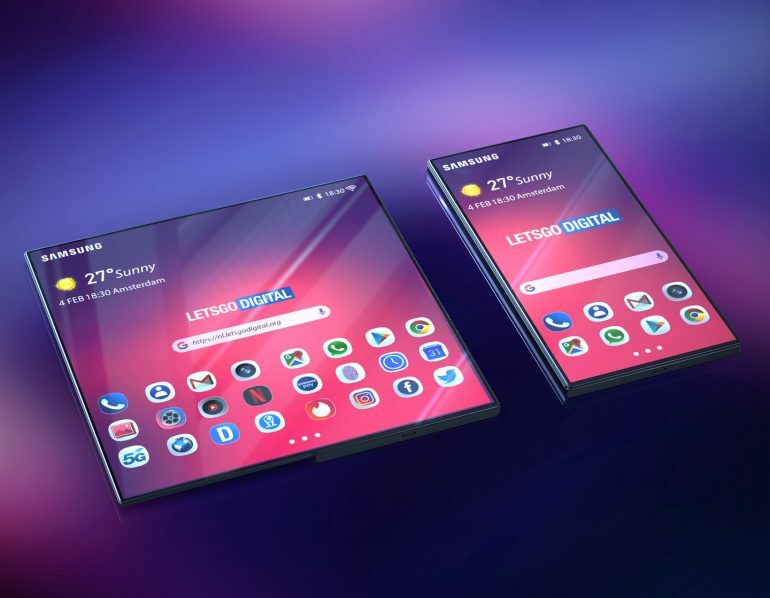 The new Samsung's foldable phone will be announced of February 20, together with the Galaxy S10 lineup.